Things have been heating up at Yahoo! ever since it hired its new CEO Scott Thompson away from his post at PayPal. Most notably, one of its founders, Jerry Yang, resigned from its board of directors. More changes are on the way, according to a report by AllThingsD. Four board members are leaving, and two new ones will be brought on board. In a changing of the guard at the company, Yahoo! chairman Roy Bostock will leave the board along with Vyomesh Joshi, Gary Wilson, and Arthur Kern. …the board has concluded that in order to accelerate the Company’s transformation, the combination of a new Chief Executive Officer with an enhanced team of independent directors would provide Yahoo! with the expertise and perspectives necessary to drive innovation and growth going forward. Therefore, Mr. Joshi, Mr. Kern, Mr. Wilson and I have volunteered not to stand for re-election at the next shareholders’ meeting. 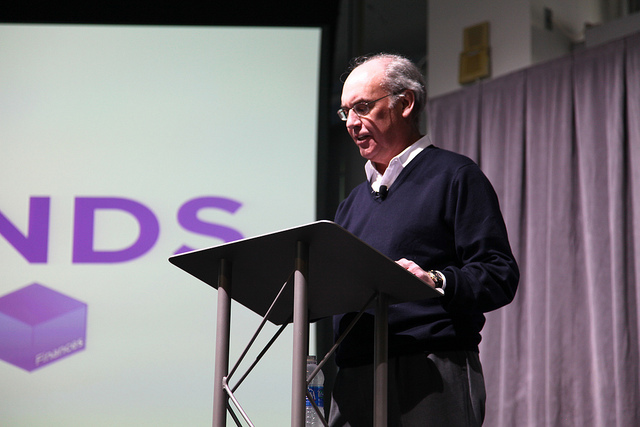 While it’s not known who will replace Bostock as chairman, the two new board members will be Fred Amoroso, former Rovi CEO, and Maynard Webb, former CEO of LiveOps. The future of Yahoo! is very uncertain, with the company cleaning out some deadwood apps and telling us that Yahoo! is now thinking “mobile first”. You can expect to see more new Yahoo! mobile products in 2012, especially in areas ripe for innovation that build on Yahoo!’s strengths, such as companion experiences for TV like IntoNow, new ways to experience personalized media like Livestand, and some of our most popular and useful mobile apps like Yahoo! Mail, Messenger, Sportacular and Flickr, which are already being used by millions of people around the world. Of course, there are still talks of acquisition and Yahoo! is still trying to untangle itself from places like Japan, as we reported just a few weeks ago. The new CEO has quite the road ahead of him, and now he’ll have a new fresh board of directors to move forward with.